As a mission-driven company, our “Live It” value represents our ability to truly live our mission, in and out of the workplace. Live It: Avengers choose purpose in every aspect of our lives. We believe our mission is urgent. We challenge apathy and are determined to leave a legacy. We commit to driving positive environmental impact in every business decision we make. We are unwavering optimists who believe in the power of our connected movement. Q: What does “Live It” mean to you? To me, “Live It” means trying to incorporate sustainability into as many aspects of my life as possible — always looking for opportunities to create a smaller negative impact and a larger positive impact. I try to make sure my day to day life ensures the lowest possible energy consumption, lowest possible waste production, and highest general benefit. This covers everything from the way I eat (vegetarian), to the way I travel (walking to work), and the way I dress (second hand, vintage clothing). I also try to figure out fun ways to encourage people at work to make small changes with me. For example, a lot of us are vegetarians, and we like to talk about our awesome vegetarian/vegan cooking around the office to try to get more people on board. I think that effort has been pretty effective, because the last time we had a chili cook off, there were more veggie chilis than meat chilis! I’ve also watched people become more thoughtful about how to properly throw things out and I’ve even seen people bring in reusable cupcake holders so we could have waste free smashes! I’ve noticed that just being vocal and excited about taking steps to truly live our broader mission gets other people curious. I think once you get a few people to practice one sustainable behavior, it becomes infectious! 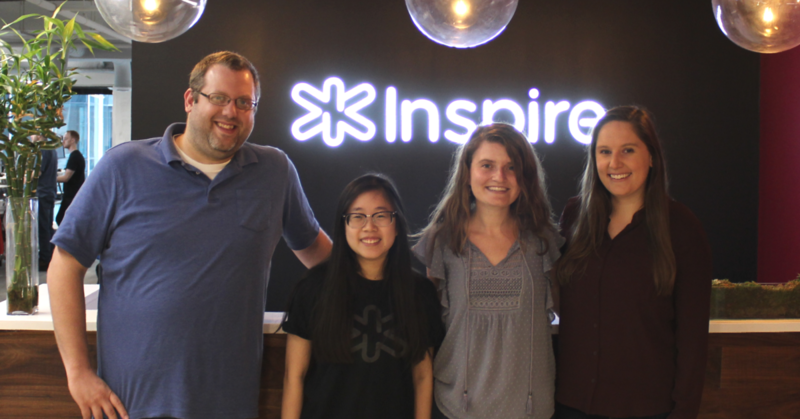 Q: What makes you passionate about working at Inspire? The mission is definitely the biggest thing for me, specifically because renewable energy is one of the largest solutions to one of the world’s largest problems. I’m also frequently inspired by our CEO, Patrick Maloney, and our leadership team, who always put mission first. They come to work with so much passion, and as a result, listening to them always reignites my own passion. On a deeper level, I’ve grown more and more passionate about working here because of how much I have been encouraged by my peers and my leaders to work on the things I care about. I was lucky enough to help out with improving our B Impact Score as a B-Corp certified company, and creating our first Impact Report. Through these experiences, I’ve been able to present to our CEO and other leaders at this company, which was pretty awesome. It’s amazing to work at a company where everyone is accessible, encouraging, and friendly. I know I can always reach out to anyone and ask a question, which makes it much easier for me to feel empowered to pursue anything I’m interested in. I see a lot of opportunities for us to cut down negative impact and maximize positive impact in all that we do. So, I’m looking forward to continuing to push our mission forward and keep sustainability and impact at the forefront of expanding our products and services. Q: What's the most valuable thing you’ve learned from interacting with customers? I’ve learned to be concise and meet people where they are - especially when talking about sustainability. It’s important to be humble and understand that everyone doesn’t have the same level of awareness about this topic. I try to approach every conversation I have respectfully and empathetically. Rather than using scare tactics, I make an effort to encourage people by focusing on the positive impact they could make. Once you learn to meet people where they’re at in terms of how they think about energy, approach sustainability, and their ability to make these sustainable choices; they are more likely to jump on board. Q: What motivated you to create our Philadelphia office’s composting project? Going forward, is there anything else you’d love to implement? Composting is something I have always found so interesting. Food waste is a massive issue that has been top of mind for me, which led me to start composting at home. Over the past few months, I started to think about small things that we could do at Inspire that would make a difference. Casey Plasker, who spearheads our Do the Bright Thing program, encouraged me to get in front of a few leaders in our Philadelphia office and talk about waste. During that conversation, I thought it would be the perfect time to propose my composting idea. I presented it to the team, told them I would take complete ownership of the project, and they were in full support! I remember thinking, “Why didn’t I try this sooner?” The only thing holding me back was myself. Moving forward, there’s room to be super intentional about waste as we expand our offices. I’d love to start implementing fun sustainability challenges to continue to enrich our culture and practice our values. Q: This is your first job out of college, how has Inspire helped you grow professionally at this stage of your career? I think the clarity with which goals have been laid out at Inspire from the top down has been the gateway to my growth and success here. 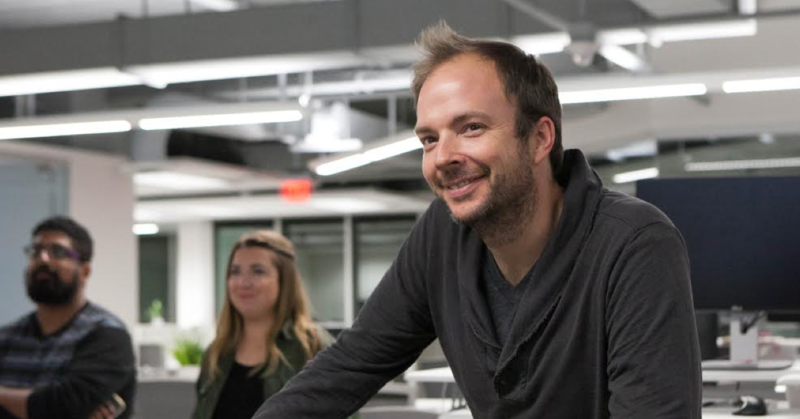 Being able to understand our company and department-level goals has helped me develop a good sense of how I can provide value, and it’s all made possible because of the incredible people around here. I may not have had as much courage to jump in on projects if the people here weren’t so accessible, approachable, and friendly; that plays a huge part in facilitating my growth and success. Additionally, being able to pursue projects and then see them pan out, get recognition, and appreciation, has only fueled my desire to jump in more. Inspire does a great job of giving people recognition and praise, and I think that creates a great environment for everyone here; especially the people who are just starting their careers. From this whole experience, I’ve learned to say yes to everything and fearlessly pursue the things I’m passionate about. This year will be my second year of being a mentor for our Do The Bright Thing - CleanTech Connect program, and that wouldn’t have happened if Mike Bair, the Sr. Director of our MX team, didn’t encourage me to pursue that opportunity. Ultimately, I think as long as you're coming to work and giving it your all, people will always be willing to give you more and let you pursue other things. 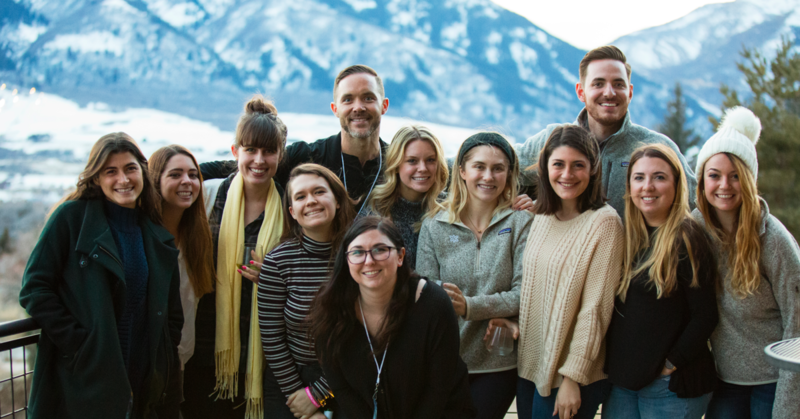 If you’re interested in pursuing your passion for sustainability at an organization that welcomes a mission first approach, see our open positions here.